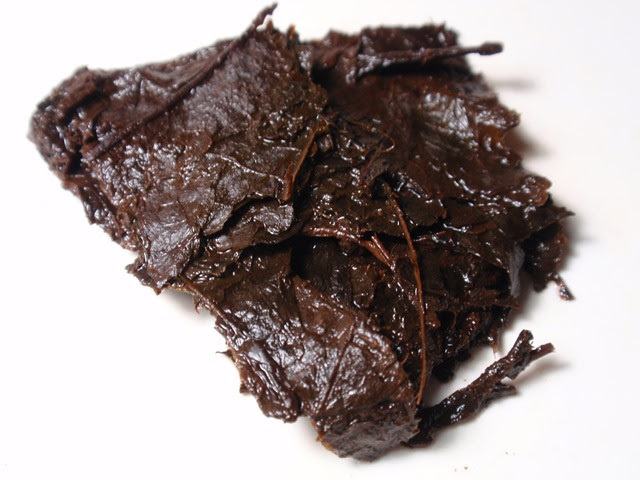 Product Description: Although this tea has been drunk and loved by people living on the islands of Setonaikai (Inland Sea of Japan), it is known as an extremely rare tea because of the decline in its production. At one point there was only one producer of this tea. In recent years, however, with the support of the local government, a cooperative has been established to produce this tea. Japanese tea lovers have taken notice of goishicha once again due to its efficacy as a dieting aid. This particular tea is grown organically, without the use of pesticides. 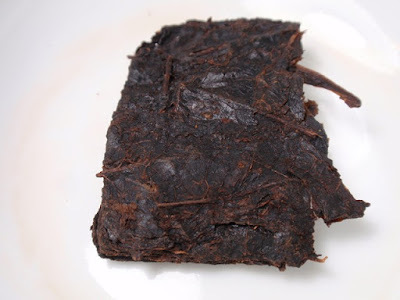 The dry leaves have an aroma of prunes, dates, and spices. The red-orange infusion has a sweet aroma of molasses, prunes, and lemon. The taste is lightly tart and sweet with light notes of molasses. 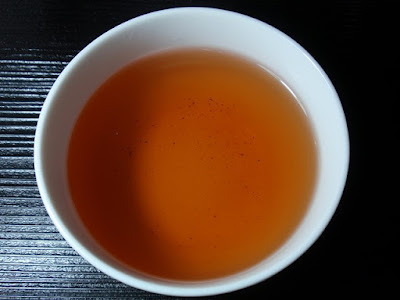 This tea was flavorful throughout three steepings and could likely have been steeped one or two more times with good results. I was pleasantly surprised by the sweet molasses-like notes.